Tournament news in the past six weeks has been very momentous and there is much to look back on. 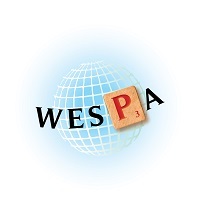 Our report this month had been postponed to include the events of WESPAC, an event which witnessed around 200 players take part in a week long festival of Scrabble; as such, we hope you enjoy this summary. We start in the UK, and its National Championship that was held in the first week of October. The warm up tournament saw Anand Buddhdev and Anne Ashmore go 1-2 in a field that featured two England represenatives for WESPAC (John Ashmore and Mark Nyman). Austin Shin, fresh from his third in the World Championship, continued to score well and notched up a deserved win: his last round match against the eventual runner up, Harshan Lamabadasuirya, was an amazing game to witness. You can view the stream of this game on YouTube and see what unfolded! David Webb came in third, signalling some good form on his way to Kenya a month later. A week earlier, on a long weekend in Australia, the NSW Scrabble Championships was won by Edward Okulicz, winning 20 of his 24 games. Joanne Craig, Esther Perrins, Victor Tung and Bob Jackman completed the top five respectively (all four would be flying the flag for Oz in WESPAC a month later). It’s an event that both top Singapore player Toh Weibin and Malaysian player Alex Tan were sad to miss but saw the return to competitive play for two others; the Causeway Team Challenge featured the might of Malaysia up against the might of Singapore and seeing the returns of Vannitha Balasingham and the former World Number One, Ganesh Asirvatham. It was a popular tip that Malaysia would win this one, and as the second day of play continued, any doubt this result would have been contrary to expectation was quickly erased. Ganesh, in his international tournament return, blasted his way to a victory with 17 wins and an average of 521 per game: with it, a return to the number one spot was assured. The new Number Two, Nigel Richards, was runner up. Marlon Prudencio's 670 game on Day One was never beaten for high game. Hubert Wee was the top placed Singapore representative. As WESPAC approached, there were still opportunities to play some tournament Scrabble before the World's eyes focused on Nairobi. Dubai hosted a warm-up tournament where Eric Kinderman won the most games, giving him invaluable game time in the lead up to Kenya. Jackson Thomas' 589 the high game for the event. North America featured a number of tournaments in the weeks leading up to WESPAC. Rob Robinsky was victorious in the Twin Cities tournament. Adam Logan and Max Panitch went 1-2 at the Mike Wise tournament, allowing both players the chance to head to Kenya with some winning form behind them. Jason Broersma won the Caledon Tournament at the start of November. In Nigeria, the first Mind Games International tournament was played and saw James Ewruje victorious from Peter Moses. All up, 118 players were in Nairobi to take part in the WESPA Championship, the main event of what can rightly be called a week long festival of tournament Scrabble. 22 players were there for the Youth Tournament, of those who ended up qualifying for WESPAC via the Last Chance Qualifier, there were another 51 who did not. 68 players took part in the Kenya International Open the side tournament to the Championship. Before the tournament, players were sharing posts on social media of the Big 5 and other wondrous sites as a prelude to what would be an intense week of play; it was also the chance for many players to actually catch up with other players on the circuit rather than the typical email or other online correspondence. To the tournaments, and fifteen players qualified for WESPAC through the Last Chance Qualifier. The leader in the qualifying was Stanley Njoroge (from Kenya) with the final position taken by Uganda's Phillip Edwin-Mugisha, holder of one of the longest Scrabble records ever (the high combined game score at 1157 back in 2009). Nigeria's Raymond Gbaraba was victorious in the Kenya International Open warm-up, from fellow Nigerian Anthony Ikolo. India's Udayan Grover held high score at 615 on his way to coming third in this tournament. Kenya's Ian Otieno was the Youth Champion, and it was a close result, with only 76 points in spread separating him from 2nd place (Canada's Jamie Chew). Udayan Grover won the Kenya International Open from Bernard Koyyoko and Raymond Gbaraba. Umok Bassey's 627 the high score here. 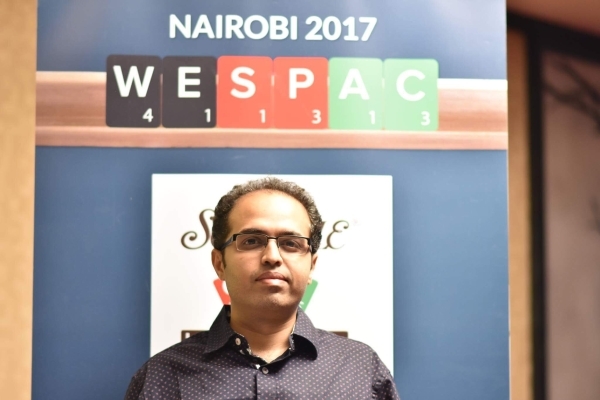 Waseem Khatri became a member of the 700 club in the Nairobi Open on the final day, with Nigeria going 1-2 (Nsikak Etim from Dennis Ikekeregor). Bernard Koyyoko came third, thus denying the trifecta. Time to turn to the Championship itself. Four days of play can usually see many twists and turns in an event, and, at moments throughout the tournament, the eventual finalists could have been any number of players. The world would watch on, being updated online by the brilliant work of John Chew. The Defending Champion, Wellington Jighere, was an early leader. India's Ranganathan Chakravarthy also had a time at the top (and during this tournament entered the WESPA record books with an 1121 aggregate game). Thailand's Jakkrit Klaphajone also held the lead later into the tournament. Even the World Number Two, Nigel Richards, had his time at the top. In fact, with three games to go, it looked like Nigel would be a certainty to be one of the finalists. 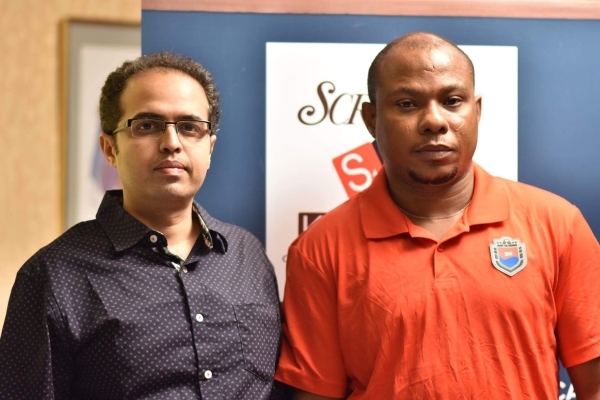 Three losses in the last three games saw him finish in third - two finalists had emerged and a new WESPA Champion would be crowned from either Bahrain's Akshay Bhandarkar or Nigeria's Peter Moses. Depending on which social media platform you followed, 57% of Facebook readers polled thought that Akshay Bhardarkar would be triumphant whereas Twitter went 80-20 to Peter Moses! The final itself ended up going right down to the wire. 2-2 at lunch and, with some early missteps in Game 5, it looked it could be over in 6 games. But, as Peter Moses was able to come back to win Game 5, ultimately it would be Bahrain's Akshay Bhandarkar who would come back to secure the final two games and become the Champion against the World Number 23. The new WESPAC Champion - Akshay Bhandarkar!! What an ending to what has been an action packed six weeks! Congratulations to our new WESPA Champion and to Peter Moses as runner-up. Thank you to all the players for making WESPAC the spectacle it was, to John Chew and Wilma Vialle for their amazing work during the tournament and to Scrabble Kenya for their hard work in organizing what was a week long festival of Scrabble. Our usual monthly reports will return for the November edition.